If like me, you love camera gear you will love the products produced by Peak Design. All of their products have a huge appeal which is backed up by a number of successful Kickstarter campaigns. Peak Design claims to be a completely crowdfunded company, so their complete success is based on people believing in the current product line and having faith in the future products the company develop and launch. One of these success stories was the campaign that launched their flagship product, the Peak Design Capture Pro. The Peak Design Capture Pro is a quick release clip that allows you to attach a camera to your belt or camera bag in a position that allows quick and easy access. This is a widely loved accessory and has many rave reviews all over the web and in photography magazines. 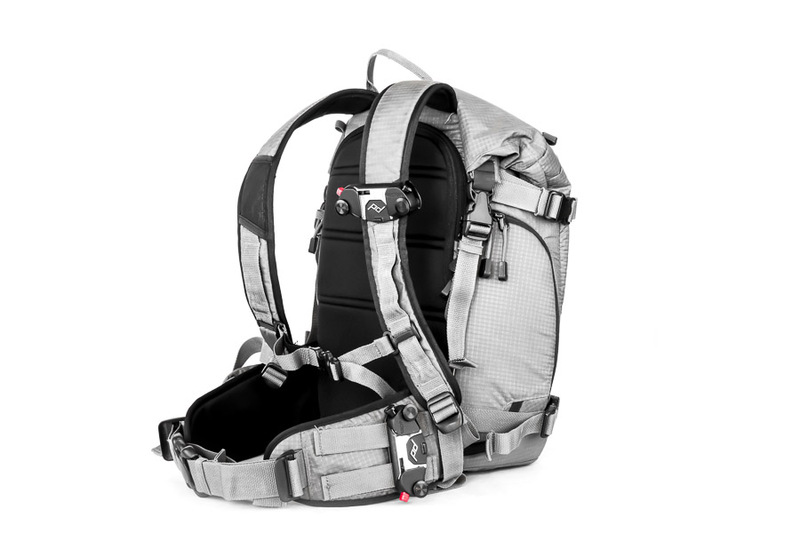 The Capture Pro featured in a recent article right here on Improve Photography as one of 25 must have hiking accessories. I have been using the Capture Pro for about two years now and absolutely love it (and no I don't get paid to say that before you ask). It's great for outdoor photography when you can attach the baseplate to the strap of your camera bag for quickly securing your camera to enable hands-free hiking and scrambling. This means you will not be worried about your camera swinging wildly on your back whilst you trudge through the wilderness. It also means you will not drop your camera as you try to negotiate the terrain making this a great investment to protect your camera and to help keep you safe on the uneven and potentially treacherous ground. I have been using the Capture Pro for about two years now and absolutely love it (and no I don't get paid to say that before you ask). It's great for outdoor photography when you can attach the baseplate to the strap of your camera bag for quickly securing your camera to enable hands-free hiking and scrambling. This means you will not be worried about your camera swinging wildly on your back whilst you trudge through the wilderness. It also means you will not drop your camera as you try to negotiate the terrain making this a great investment to protect your camera and to help keep you safe on the uneven and potentially treacherous ground. The advantage of this is you can easily keep your camera accessible as you explore the environment, meaning you minimise the chance of missing that killer shot when it comes up. When you purchase the Capture Pro, you will receive everything you need to get started. 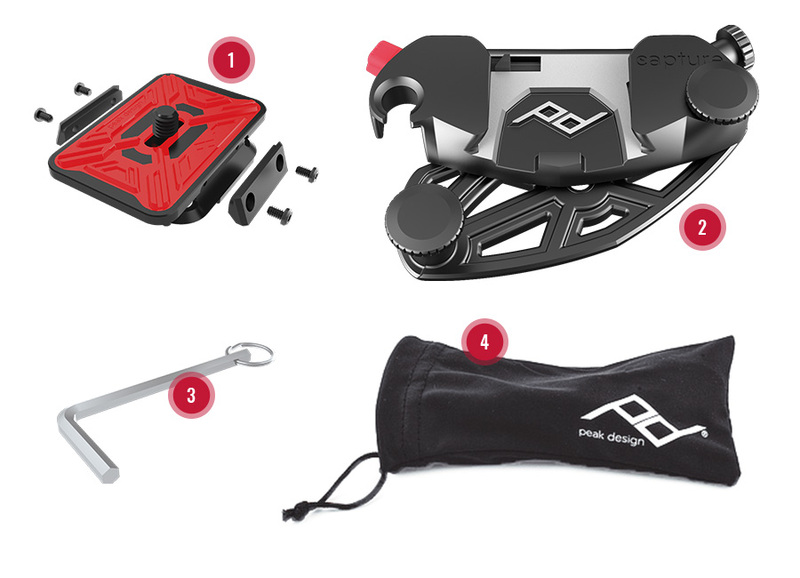 You the ProPlate (1) which comes with adaptors to convert the plate from ARCA compatible to RC22 compatible, the Capture Pro Clip (2), the Hex Allen Key (3) and the Microfibre Pouch (4). This means you are up and running straight out of the box. So why is the Capture Pro the perfect accessory? The Capture Pro is remarkably easy to use. The Capture Pro clip works with any backpack strap, belt or bag (within reason, it is only limited by the width of the strap). To attach the clip, you unscrew two large screws on the front of the device which allows the two halves of the Capture Pro to separate. Once unscrewed sufficiently, the front plate of the clip will swing open allowing it to be positioned over any kind of strap. The thicker the strap the more these bolts will need to be loosened. This can take a bit of getting used to but once you have done this a number of times it becomes really quick and easy to mount the clip and the trick is to adequately loosen the bolts to allow free movement. In order to mount your camera into the capture pro clip, you need to attach the ProPlate to the camera body. This is, in essence, a plate very similar to a quick release plate that can be mounted on your tripod ball head. This is easily attached to your camera body by simply screwing it into the standard mounting thread on the bottom of the camera. You can do this easily with the Allen key which is provided with the Capture Pro. The soft rubber material on the face of this plate ensure that there is no camera damage, as well as ensuring the plate stays in place and ensures the screw doesn't loosen. Once in place, the ProPlate then simply slides into the Capture Pro clip attached to your strap, belt or whatever else you can attach it to. The way the plate slides into the clip ensures a really positive interface between the clip and the camera and the way the plate ‘clicks' into place once firmly in the clip gives the user confidence that the camera body is safe and secure. To remove the camera, you press the red quick release button on the top of the Capture Pro Clip and slide the camera out. Again this takes a little bit of getting used to but soon becomes second nature. Once your camera is clipped into the Capture Pro, it isn't coming out. It is automatically secured with a quick release mechanism which is operated by a red button on the side. Once clipped in, this button must be suppressed in order to release the camera and so there is a small chance of it coming free by accident. You can increase the security of this feature by twisting the red button which will lock it in place and prevent it being pressed accidentally. The button would have to be twisted back inline before it can be suppressed. This can be a little awkward if you can't see the button, or if you are trying to operate it with heavy gloves but it certainly gives you peace of mind. In addition to this quick release button, there is an additional locking screw on the opposite side of the clip that can be screwed in to provide a secondary locking device. This acts as a safeguard in the unlikely event of a failure of the quick release button. I very rarely use this feature, it's more fiddly than the quick release and the risk of quick release failure is low enough not to warrant it, but its there if you need it. The only time I have used it is in places where a failure would lead to my cameras being lost, such as on ridges and cliff edges. If the failure would only lead to the camera falling to the ground I don't bother with the secondary locking screw. The Capture Pro is a durable machined anodized aluminium construction of the highest quality. The machining on the Capture Pro is beautifully done and gives you a sense of the care and quality that goes into manufacturing every one. 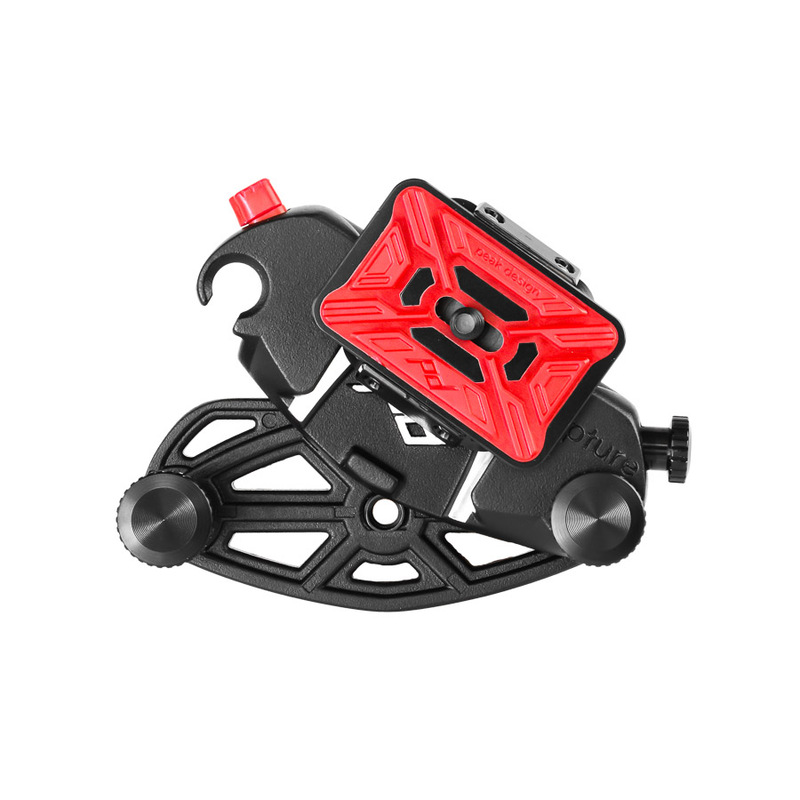 Both the clip and the plate are really well built and feel solid and you have confidence in its solidity while holding your expensive camera body and lens. When holding the clip in your hand you can feel the weight of the construction which just shouts out ‘high quality'. The thumb screws that allow the two halves of the clip to separate are well made and feel smooth when unscrewing or tightening them to fasten the clip around the bag or strap. One criticism to raise would be that the edges of the screws do dig into your fingers a little when trying to fully tighten the clip. The pro plate is great and securely attaches to the camera body, the screw head has a slot for a flat head screwdriver or an Allen key that is supplied with the Capture Pro, meaning you can very confidently secure the plate to the camera. The silicone padding on the plate is a good thickness, meaning it won't dig in or damage your camera body and provides a good surface that feels solid. The precision of the recess in the Capture Pro, that accepts the ProPlate is very good and when sliding the camera into the clip you can feel how closely matched the recess and the plate are, as there is a smooth gliding motion. There is a slight drawback to this, meaning you have to accurately line up the camera to the clip before you slide it in otherwise it will jam. This makes it more difficult to do if you are wearing heavy gloves or cant get full viability of the clip. This is why it's a good idea to position the clip in a place when you can have a line of sight. This is a small drawback and the security and rigidity you feel at the close sliding motion far outweighs the relatively small issue of needed to line it up properly. Overall this is a really well-made piece of kit and is high quality. 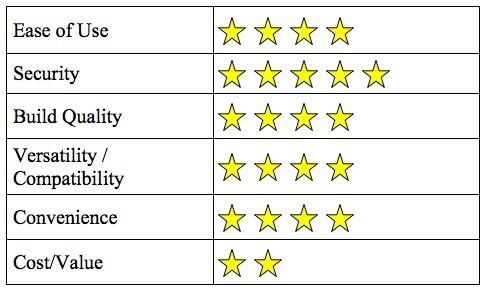 No expense was spared on selecting the quality materials or manufacturing methods to produce it. The Capture Pro, when coupled with other Peak Design products, is very versatile. Let's talk about the clip first. There are a number of additional accessories that you can buy that are compatible with the Capture Pro clip. There are accessories to hold additional lenses, binoculars or even an action camera such as a Go Pro. Yes, these are additional accessories and will be an extra cost to you, but if you need them this is a really good way to use this great product in a number of situations. You can also use the Capture Pro Clip as a quick release accessory for your tripod by screwing the clip onto the top of the 1/8″ head mount on most ball heads. 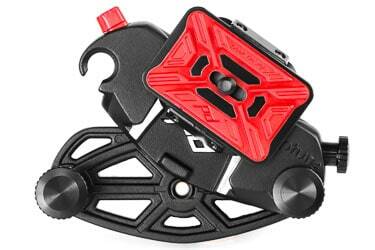 This is a simple as attaching any other quick release plate and does just as good a job. Speaking of tripod quick release plates and compatibility, the ProPlate also doubles as a quick release plate for your tripod. The plate is compatible with the standard ARCA tripod system and so you can easily slide out your camera from the Capture Pro clip and slot it onto your tripod, there is no need to be changing plates on your camera body. 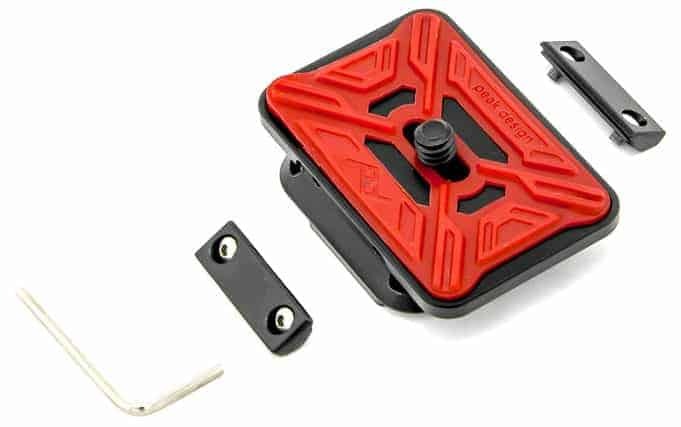 If you have a Manfrotto tripod, the Capture Pro comes with two additional adaptor plates that you can screw to the ProPlate in order to turn it into an RC2 compatible plate too. 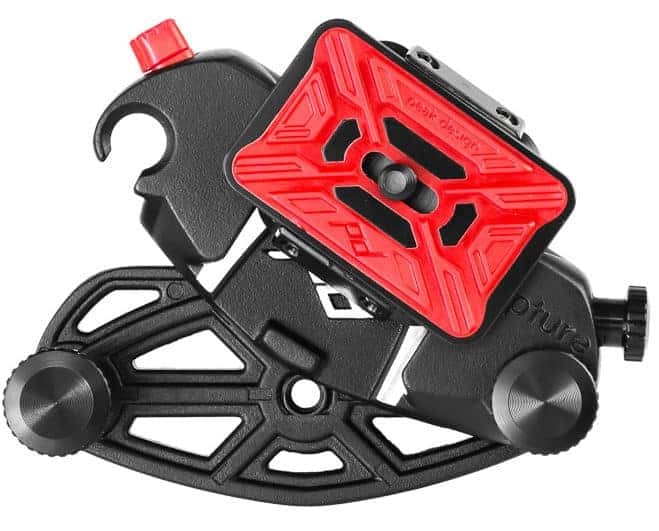 The ProPlate is also compatible with the Peak Design anchor attachments making it perfect for partnering up with any Peak Design camera strap or leash, again, removing the need to change plates regularly. There are many photographers out there who do not opt for a camera strap, I am one of them in a lot of situations. If I am using a tripod and taking my camera on and off repeatedly, I find a strap can get in the way. I also don't like the way my camera swings around on my back when walking, there can potentially be expensive equipment swinging around behind you and that doesn't fill me with a lot of confidence. When shooting in crowded areas, such as weddings, I am always worried about my swinging camera hitting a passing child and causing quite severe injuries (make sure your liability insurance covers you here by the way). Not using a strap can make for an exhausting day if you are continuously holding a heavy camera set up. A day with my D750 and 70-200mm lens attached results in a lot of aches and pains. The Capture Pro can easily attach to my belt during these times. When I feel tired, and there is some downtime in proceedings, I can slot my camera setup into the clip and hence relieve the weight for a short period of time on my ageing muscles and joints. It is amazing how much this helps when shooting 8-10 hours in a day. This is really a tough one to judge. The Capture Pro is not cheap. At the time of writing this article, the Capture Pro was selling for $79.95 on the Peak Design website. That's a fair chunk of change for a small camera clip but in my opinion, it is money well spent for this type of accessory. The positives of this device far outweigh the negatives. This is a one-off cost, and this product will last forever, Peak Design offer a lifetime guarantee so they are pretty confident. The only thing that could feasibly really go wrong is the quick release mechanism but to be honest this clip would operate well even without this function albeit with a little less security. Yes this price seems a little on the high side, but as the old adage goes, you get what you pay for, and that is a true statement when talking about the Capture Pro. 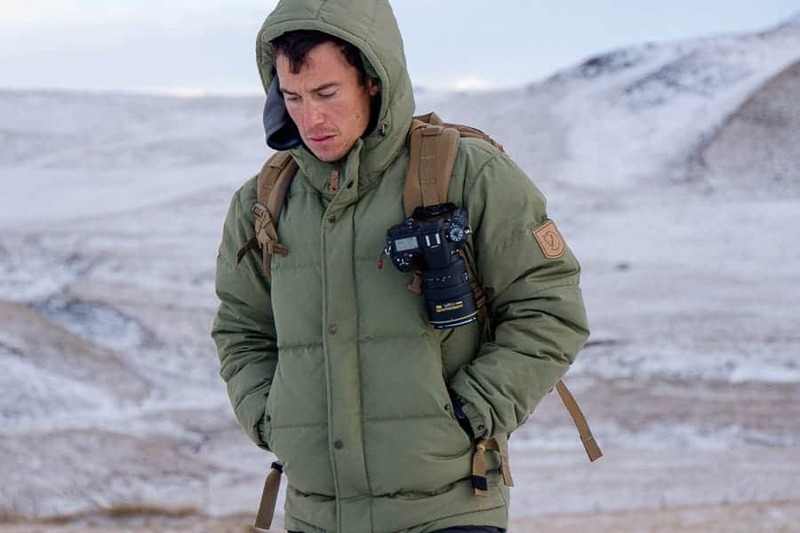 It is a great companion if you are shooting is more rugged conditions and will appeal to the adventurer or more serious hiker than your average photographer. That's not to say it wouldn't be beneficial in more routine situations. If you can see by the inflated price tag, and I would understand if you can't, then I think you will love it. Its functionality is really useful. 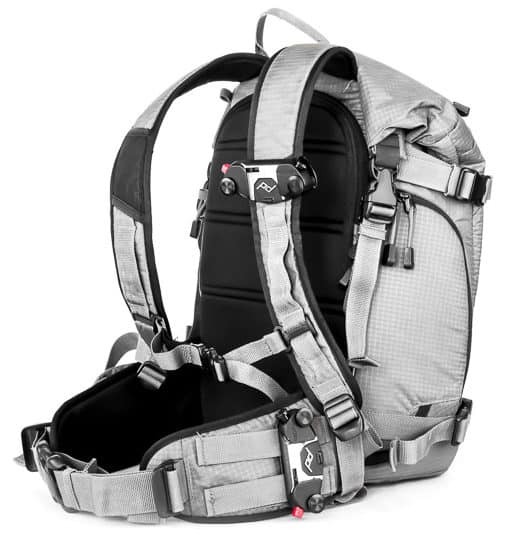 For more info on the Capture Pro and other Peak Design offerings, check out their website at www.peakdesign.com. If you currently use the Capture Pro then let us know how you feel about it and if you would recommend it. Join the conversation at Improve Photography or on the Facebook Group.